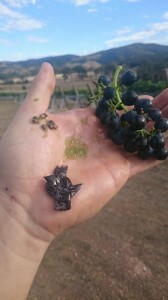 Today the wine is being pressed to separate the liquid wine from the grape skins and pips. 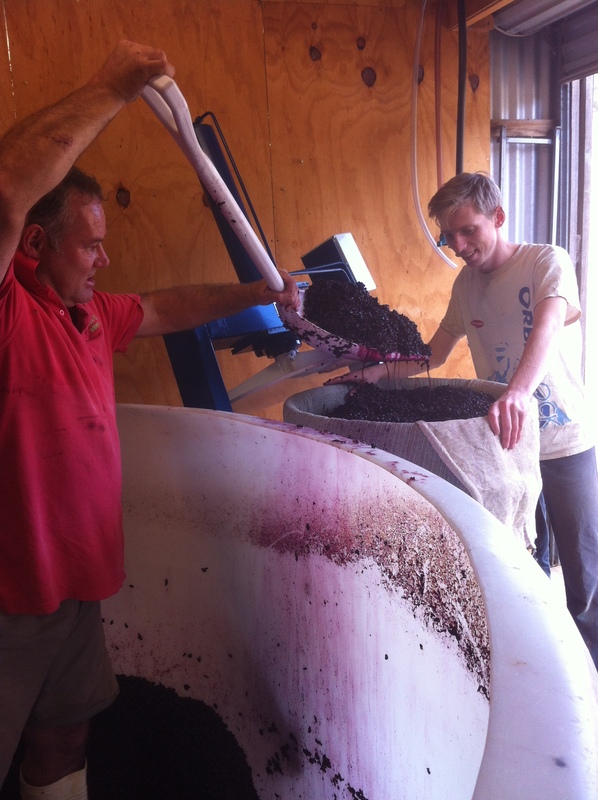 Ben is in the wine vat shoveling the must out into the press. Andrew is ready to operate the press. Next the wine is stored in maturation vessels (like barrels) for the next few months, to allow favours to develop. Avoca River Wine Festival today. Wine enthusiasts were able to browse through the great wineries of the Pyrenees. 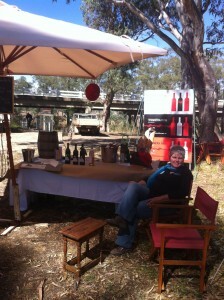 Fantastic event. 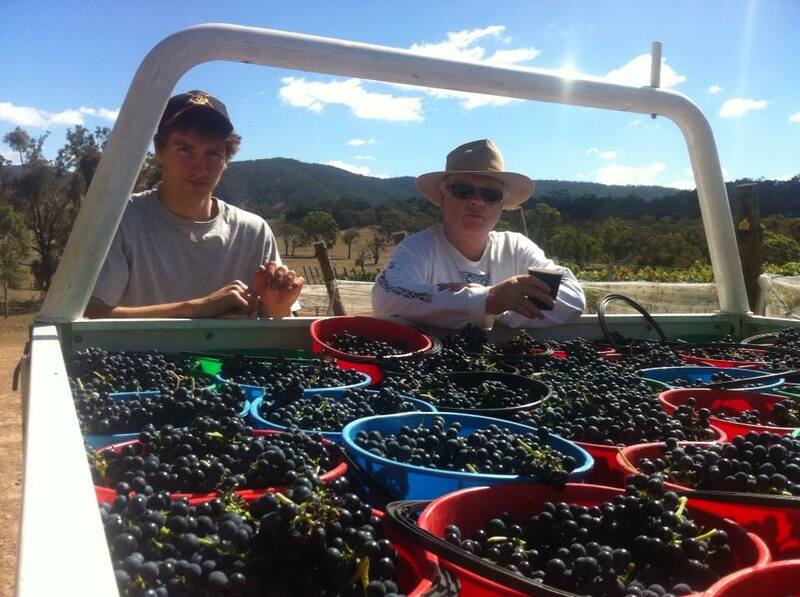 4.5 tonnes picked over two days. Excellent flavour in the berries. 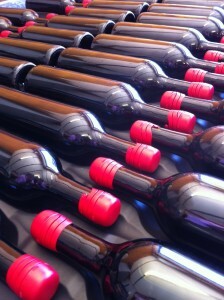 Can’t wait to taste the wine. 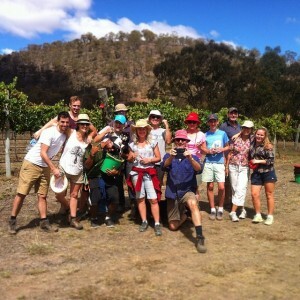 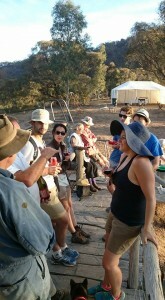 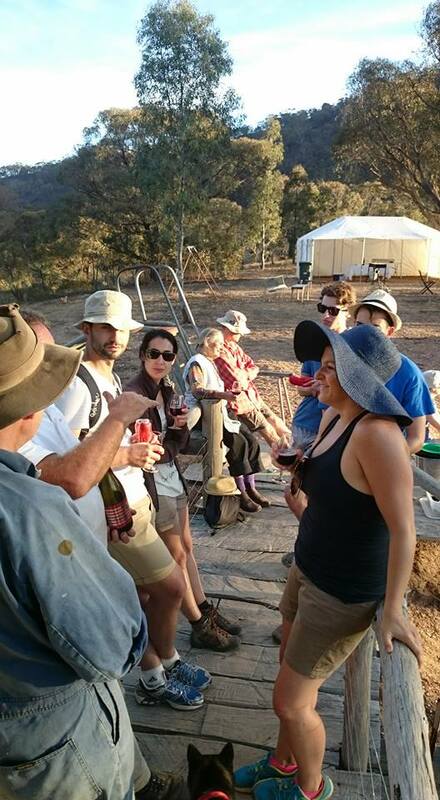 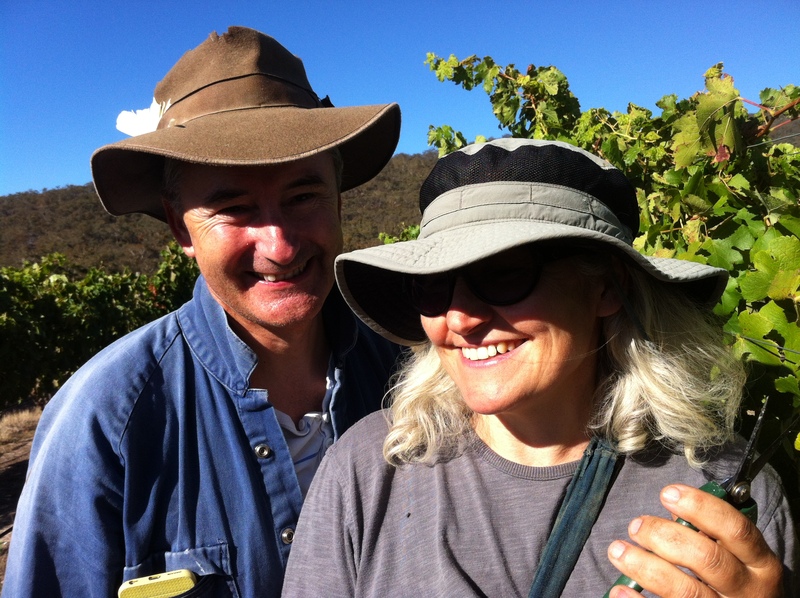 Loud and crazy picking crew, singing and laughing their way through the vine rows. 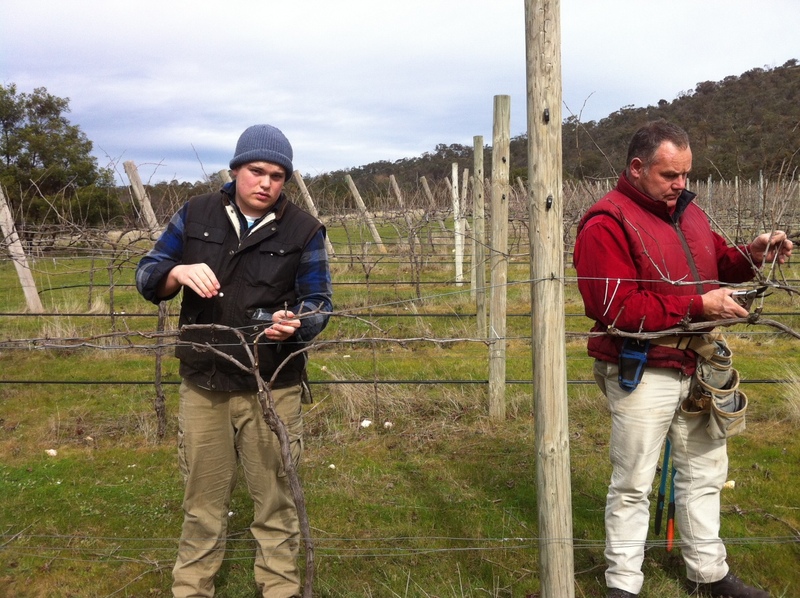 Pruning at Wimmera Hills Winery finished on Saturday, it is always a huge relief when pruning is finished. 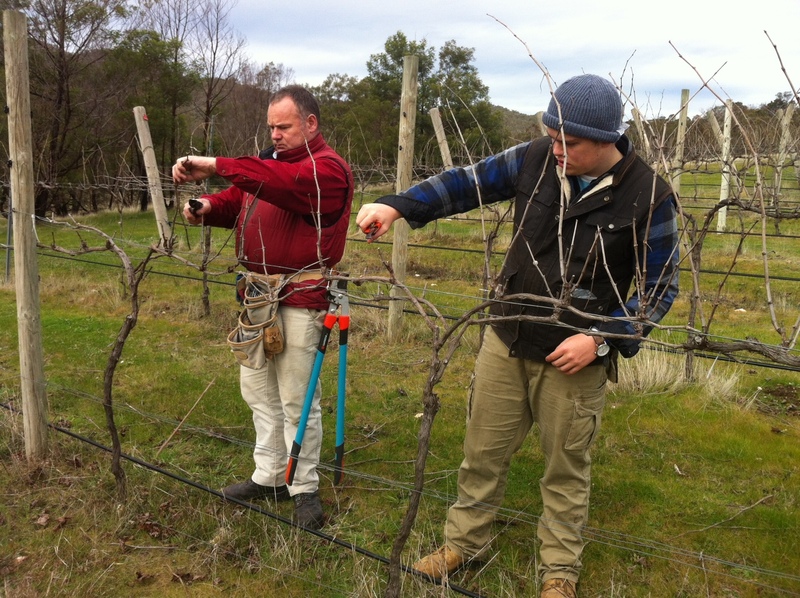 There was a team of 8 pruners, here is Magnus and Benjamin showing off their pruning style.